Our Secure Lockable Heavy Duty Frames is our highest specification frame system and is ideal for outdoor locations where a high level of security is required. 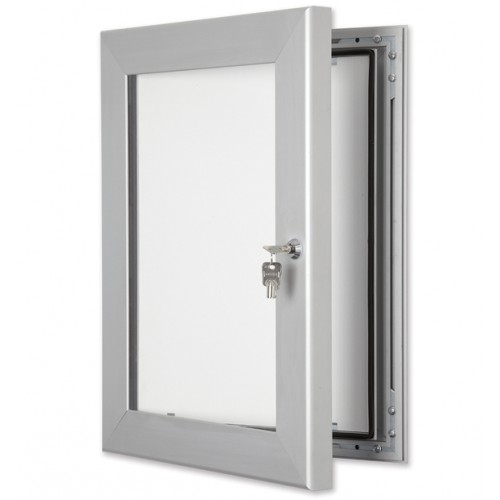 Featuring a very heavy duty frame profile and high specification lock and hinge system as well as a hard wearing silver anodised finish. 55mm wide extruded aluminium frame featuring a 2mm strong plastic back panel. A3 graphic size: 420mm x 297mm. Visible size: 394mm x 271mm.